By far and away the most popular of all the Munchkin bath toys we received to review, the caterpillar spillers make every bathtime fun. 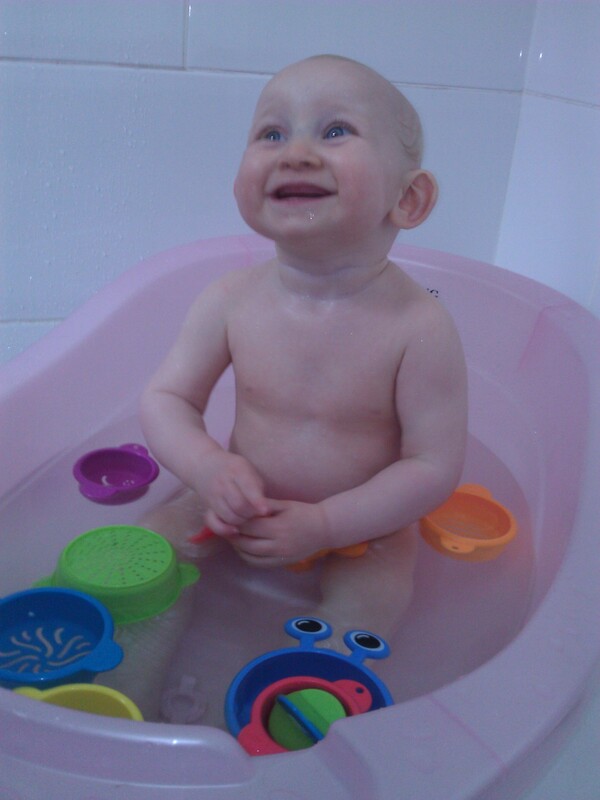 Surely the mark of a good bath toy is that Mammy and Daddy enjoy emptying the water through the different spillers just as much as baby! Great out of the bath as stacking cups, they also link together to make a wiggly caterpillar and all have different shaped holes to make pouring water great fun. I think they’ve improved Joss’ water confidence as she’s much better at getting her face wet when the spillers are held up to let the water run over her face, and she loves making the little waterwheel spin, as you can see from this pic she’s thoroughly enjoying these little critters!